Far from being a special effect reserved for high-budget broadcasting, carefully-implemented chroma keys can help add a professional layer of polish to any production, both studio and amateur. Chroma key compositing is both inexpensive and easy to do, but there is art to getting the best out of it. Chroma keying is more popularly known as ‘green screening’, since by nature it incorporates a block color green sheet or card screen in the background of the shot. 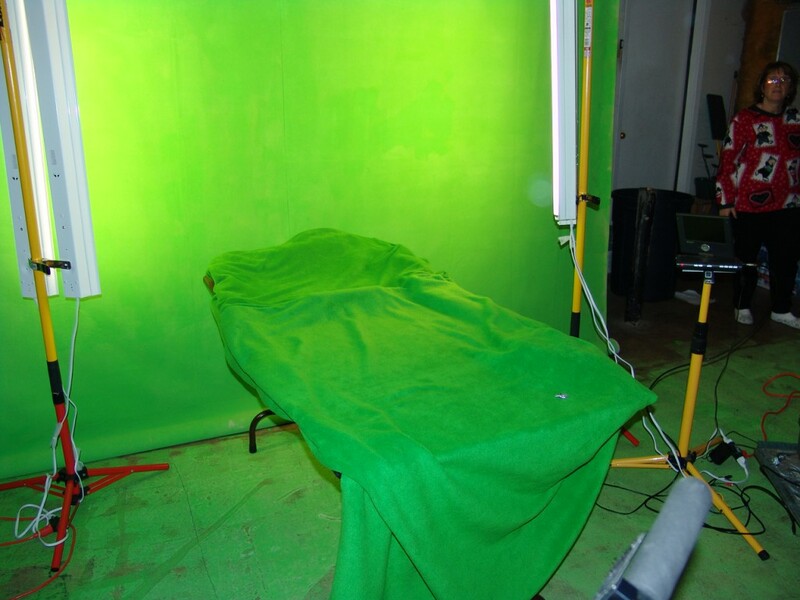 Broadcasters will typically stand in front of the green screen, and either static or animated graphics will be added in place of the green screen in post production. As a result, one of the most crucial pieces of advice to apply when working with a chroma key is to hire a superb video editor, ideally one with experience in this area or one with a broadcast journalism MA. The quality of the final product hinges solely on their work and expertise, so having someone on board who is comfortable with the graphic design elements of the process is tantamount. That all said, it always pays dividends to make sure everyone on the team is up to speed with the fundamentals of how green screens work. With this in mind, let’s take a look at the basics before moving on to some best practices for pre-production. The term ‘green screening’ is something of a misnomer given that the screen in question doesn’t necessarily have to be green. While it’s rare to come across anything other than either green or blue, in theory it can be any color as long as it contrasts against every element that will be in shot (screens that are skin-toned don’t work for obvious reasons). But whether you’re using green or blue, it’s very important to let any journalists which will appear on film know which it’ll be ahead of time. It’s not uncommon for people to absent-mindedly turn up on the day wearing a green shirt. They may also fall afoul of the assumption that the green screen really will be green and turn up wearing a blue shirt, only to find out that your screen is blue. 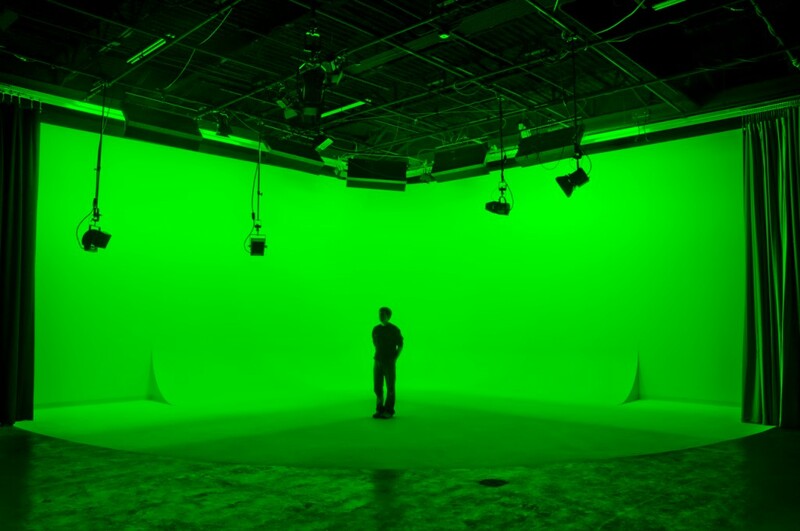 In an odd way, the word ‘screen’ is also a bit of a misnomer – your ‘green screen’ neither has to be green or a screen. Chroma keying can either be accomplished using stiff sheets of card, heavy cloth, or by simply painting or sticking paper to a wall. Which is the best option for your project? Anything that results in a consistent, smooth color will be perfect for chroma key compositing, and most of that comes down to even lighting. As for what material will be most suitable depends entirely on the space you’re working with. A large, flat wall that you can permanently color is ideal, but colored boards which can be moved around the broadcasting set as required give you an element of versatility. Using a green or blue cloth is more versatile still. The material is inexpensive, can be folded away in between sessions, and can even be wrapped around stage elements such as broadcasting desks or uneven walls. The only downsides to using cloth is that any creases or wrinkles can cause shadows, and the resulting uneven color tones can be harder to work around in the editing suite. Color: Naturally, the software needs to know which color you’d like to remove from the shot. For most editing suites, this is achieved using an eye dropper tool to select the green screen in the background of the shot, followed by a little ‘fine tuning’ to get it spot on. Tolerance: This governs how ‘aggressive’ the cropping is. Too much will result in spotty, transparent patches intermittently appearing on your journalists, and you won’t remove all of the color if you apply too little tolerance. Choking/Softening: You may notice a slight green outline around the journalist, which is often more noticeable around their hair if they wear it long. This can be tuned up using the choke and soften settings until the edge of the journalist and the background is seamless. Drop Shadow: As it sounds, the drop shadow feature adds an artificial shadow into the background from the journalist (with additional settings allowing you to specify the direction). This can look odd in some chroma key features, but it can also make the scene more natural – as with all chroma key settings, there’s no harm in playing around until you gain optimal results. Finally, double and triple check your footage before rendering it as a finished product just to make sure the universal chroma key settings work consistently throughout the entire footage.